Answer the questions below on your favourite cricketer and win exciting prizes!! Don't miss out your personal details.Enter valid email to help us reach you. 1. 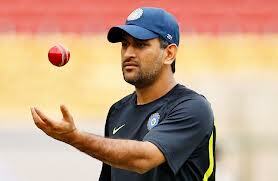 Mahendra Singh Dhoni’s Nickname? 2. His Place of Birth? 3. What is his mother's name? 4. How many siblings he has? 5. When Dhoni started focussing on cricket? 6. Who was Dhoni’s games teacher in school? 9. Dhoni’s favorite Actor Name?